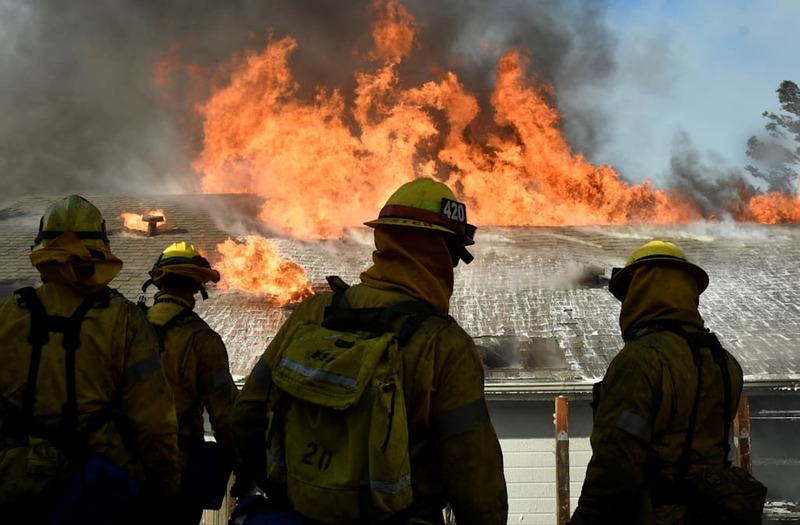 Dec 7 (Reuters) - Wildfires blazing through Southern California are worrying marijuana growers, who fear that smoke could damage their crops, the basis of a newly legalized industry in the state. For the cannabis industry, recovering like the rest of the state from devastating fires two months ago that killed 44 people and ravaged scores of pot farms north of San Francisco's Bay area, the new wave of wildfires comes at a challenging time. "This year has been some of the highest highs and lowest lows, where we've made so much progress toward a legal, regulated, normal future," Hezekiah Allen, executive director of the California Growers Association, said by telephone. "But at the same time, we've had these catastrophic fires." Four major fires in the Los Angeles area have forced 200,000 people to flee and destroyed hundreds of homes. And the region's westward Santa Ana winds blowing hot and dry from the California desert could exacerbate the situation. Things could be worse for the marijuana industry in the state, Allen said, except for the fact that particularly hard-hit Ventura County does not issue permits for pot farms. The smoke billowing from the latest blazes could be damaging for growers in San Luis Obispo County, up the coast to the north of the city, as well as in Los Angeles itself, he said. "These are fires burning in a more urban-type development, and that smoke is going to contain potential contaminants that are not typically in wildfire smoke," Allen said. San Luis Obispo County has scores of pot farms, some of them larger than one acre (0.4 hectare). Growers in Los Angeles, on the other hand, tend to set up indoor operations due to lack of open farmland, he said, meaning they are better protected from smoke. The city has more than 10,000 grows, the industry estimates, many of them small and tucked away in spare bedrooms or converted garages. California voters approved medical marijuana in 1996, despite a federal ban, and last year approved recreational use of the drug by adults. Since then, the state has been developing rules to allow recreational sales. At the same time, California is the source of most of the nation's illegal marijuana farming, Allen estimated, with more than 55,000 marijuana growers. The wildfires that ravaged the state's world-famous wine country in October did not necessarily burn the vines - but the smoke did increase the risk of tainting the flavor of grapes, wine industry officials in Napa, Sonoma and adjacent counties said. Insurance claims from those blazes have topped $9 billion, state officials said on Wednesday. The October wildfires significantly damaged or destroyed 73 licensed pot farms in Mendocino and Sonoma counties, Allen said. Others without permits were also hit, he added, although most of those were unlikely to come forward. "It's been a very intense year," Allen said.